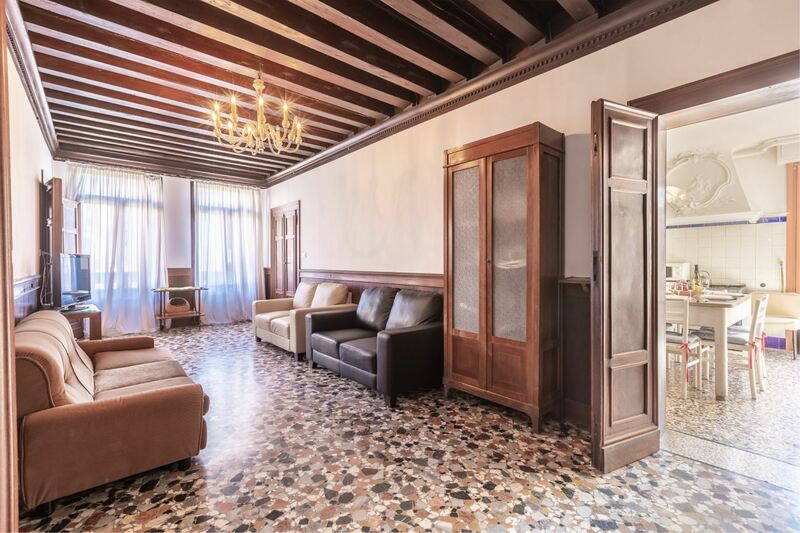 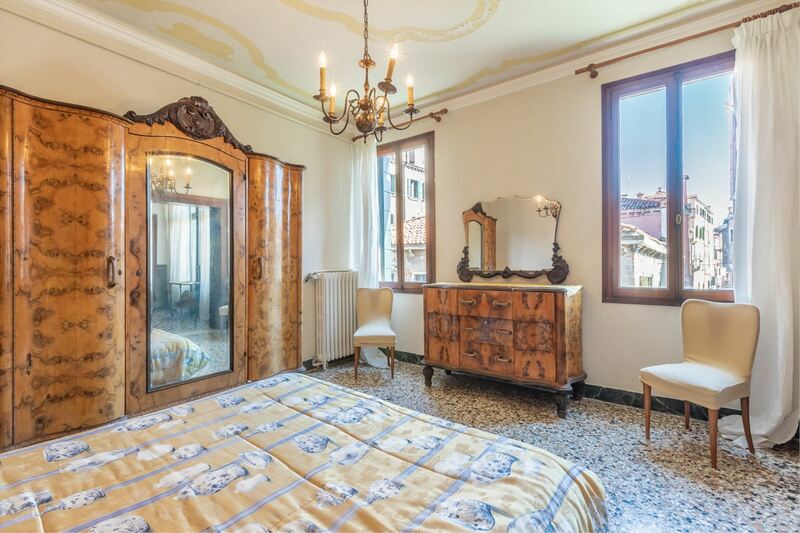 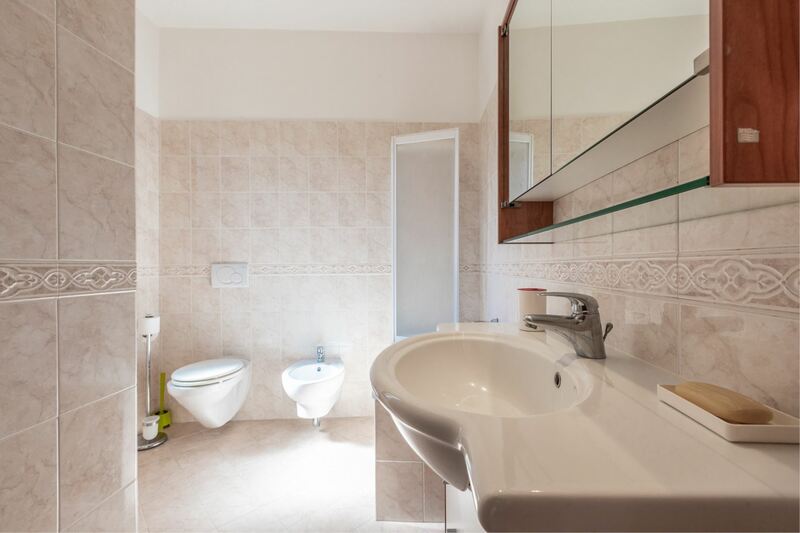 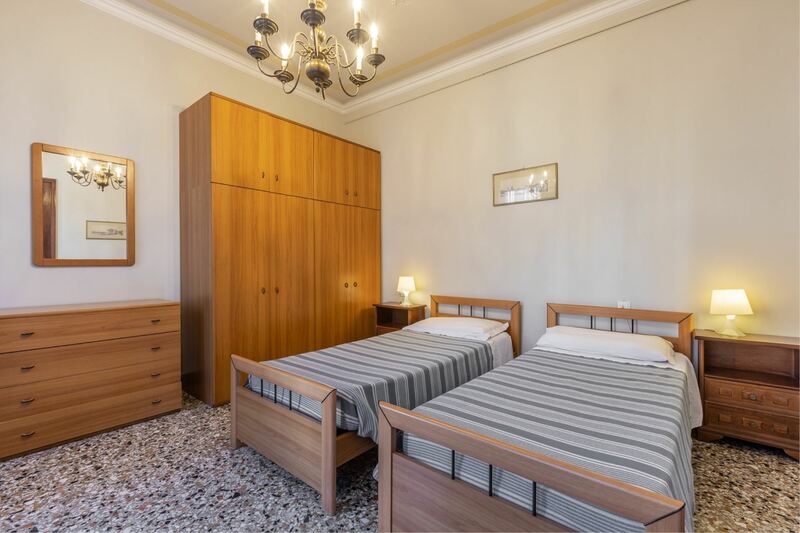 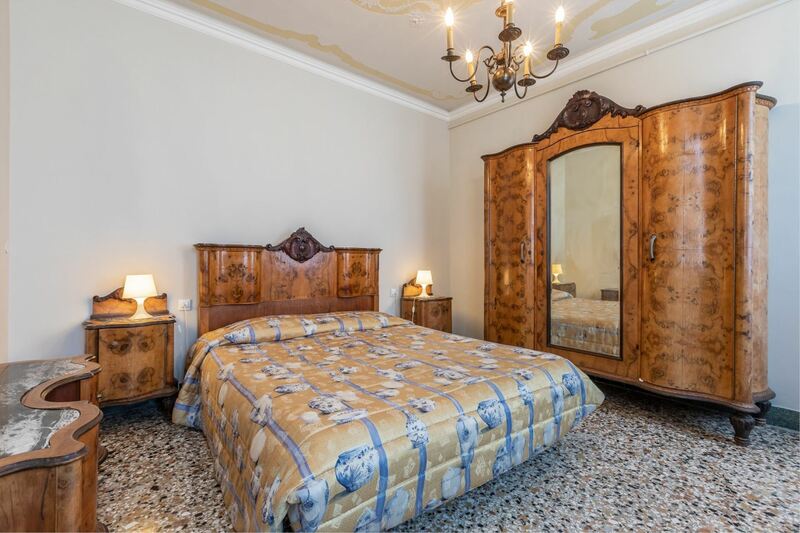 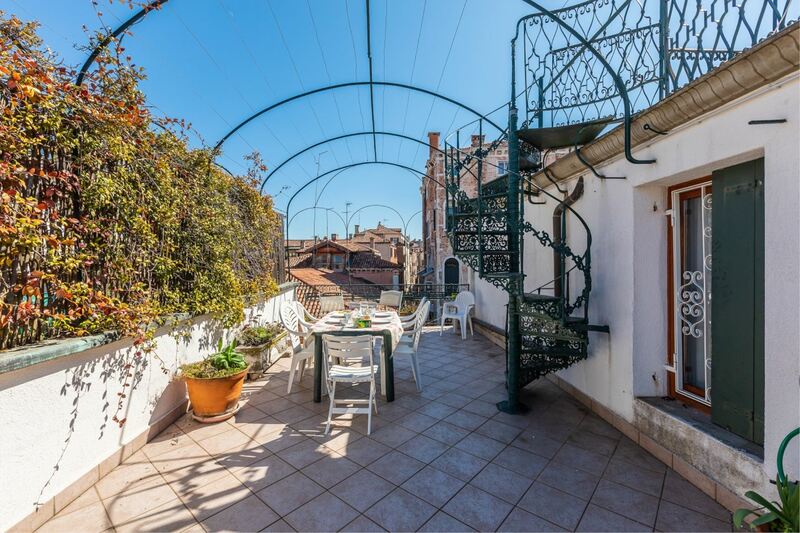 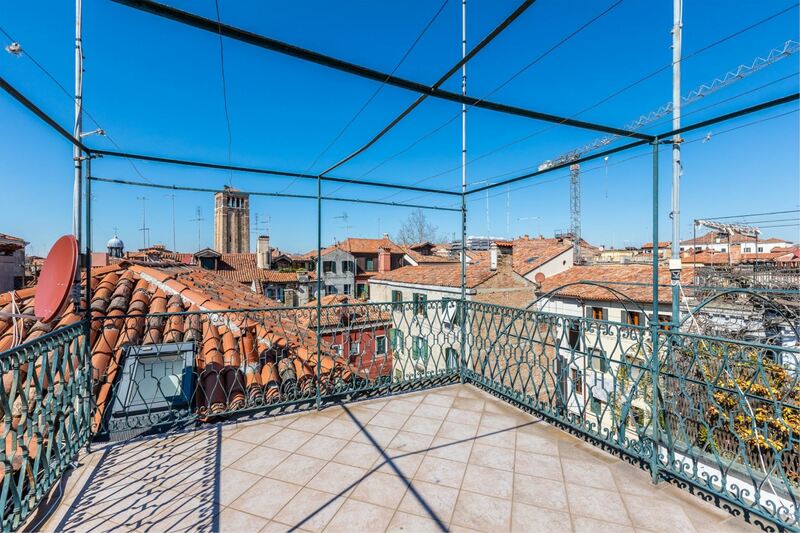 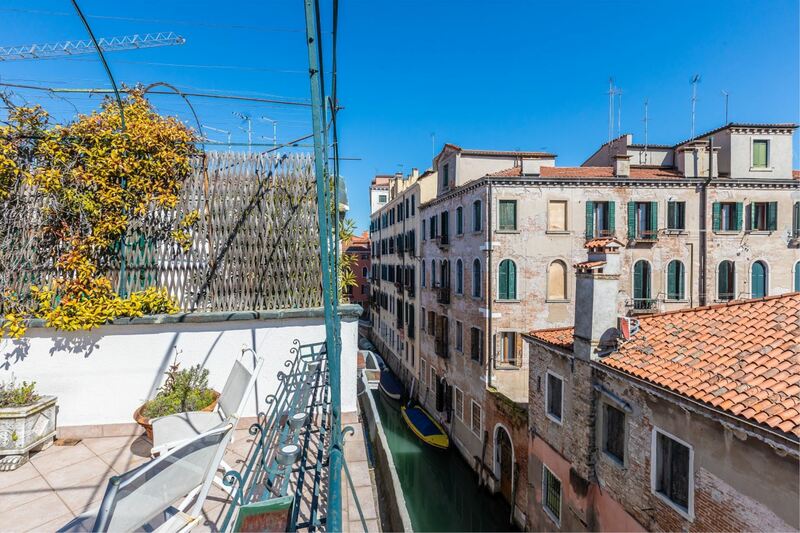 This spacious apartment is located in sestiere Santa Croce, just beside campo San Giacomo dell'Orio, a nice tree-lined square with restaurants, cafés and several groceries (a small supermarket, a bakery, 2 ice cream-shops, a newsagent...). 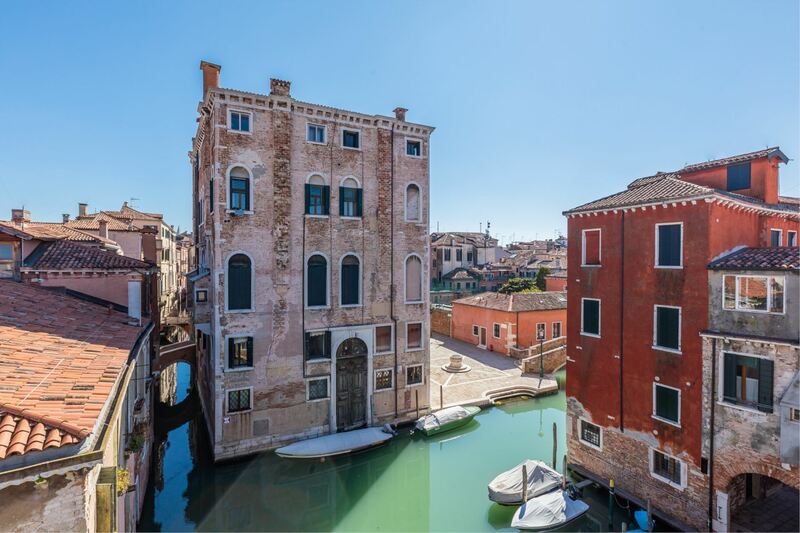 At a stone's throw from the impressive Basilica dei Frari and Scuola Grande di San Rocco, as well as Ca' Pesaro (museum of modern and Oriental art) and palazzo Mocenigo (museum of Venetian costume). 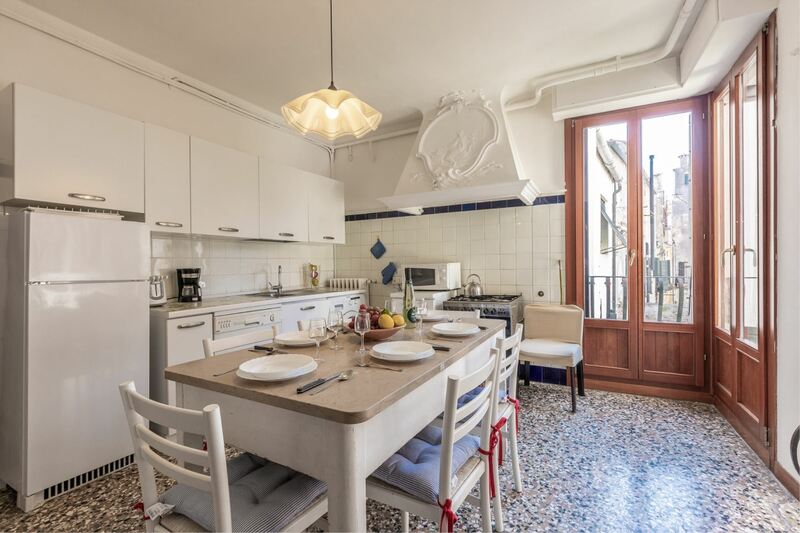 The area is a lively centre of local life but not noisy, and still close to Rialto, campo Santa Margherita -with its open air cafés- and piazzale Roma. 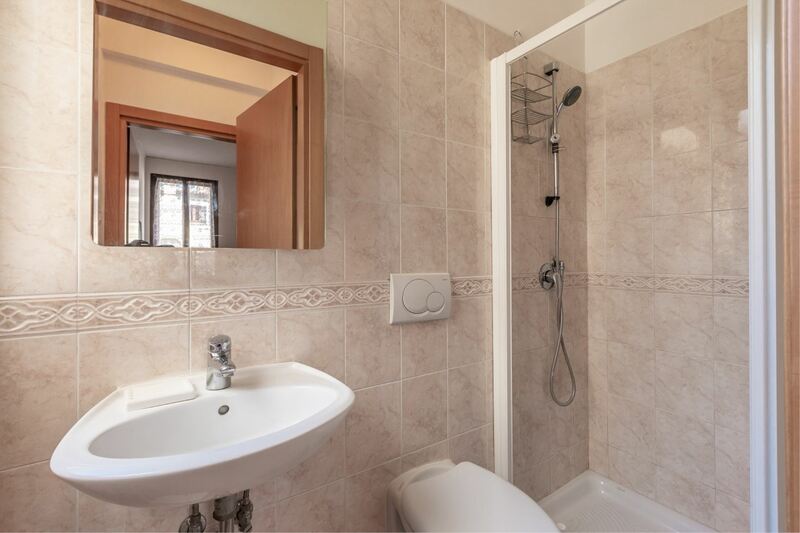 You can reach all of them within 5 and 15 minutes on foot. 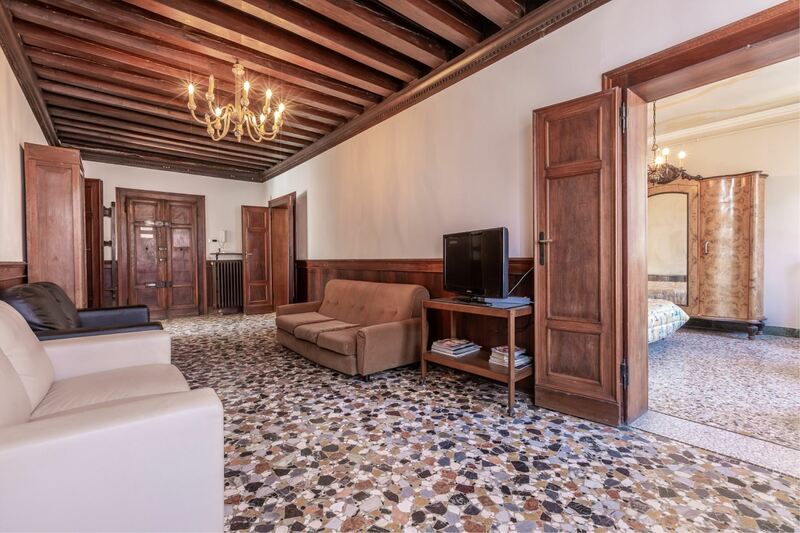 For music lovers, the nearby and beautiful Scuola Grande di San Giovanni Evangelista offers a wide choice of classical and chamber music concerts and other related events. 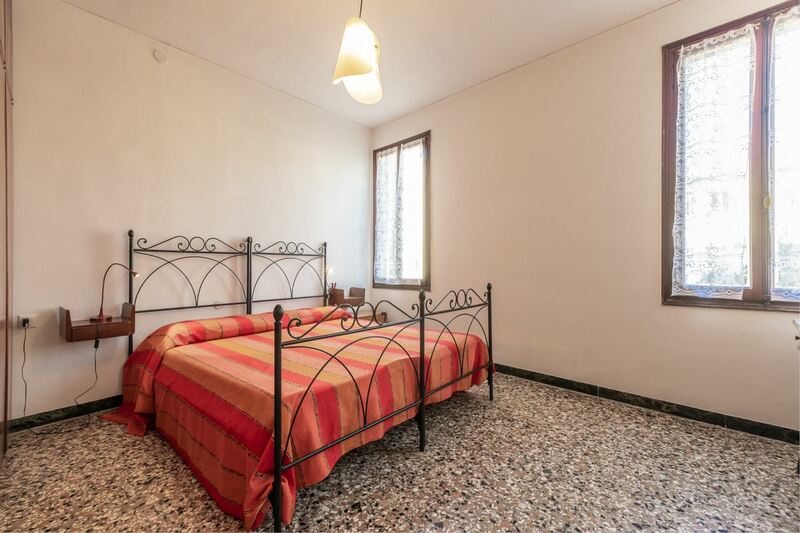 Another must within your visits is the Natural History Museum at Fontego dei Turchi, ideal for children! 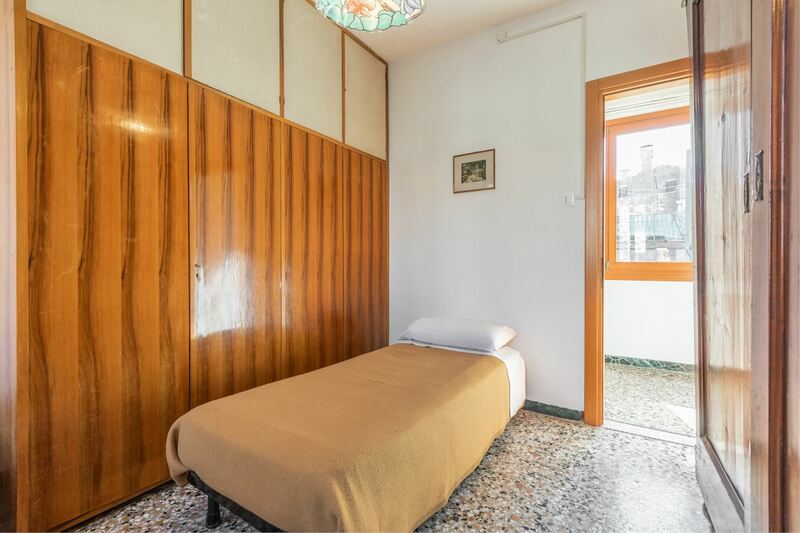 The flat is 100 sqm in surface, it sleeps 7 and it's located on the 2nd floor. 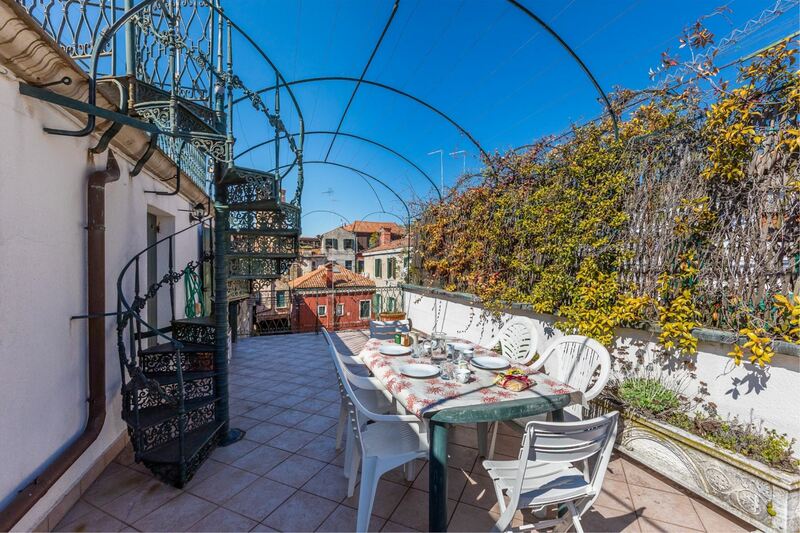 It's composed of a living room with a small balcony, a spacious kitchen with dining table; 3 double bedrooms (all of them can be either double or twin), a guest room with a single bed, a bathroom with tub, a bathroom with shower and 2 terraces on the roof, one above the other, with panoramic view. 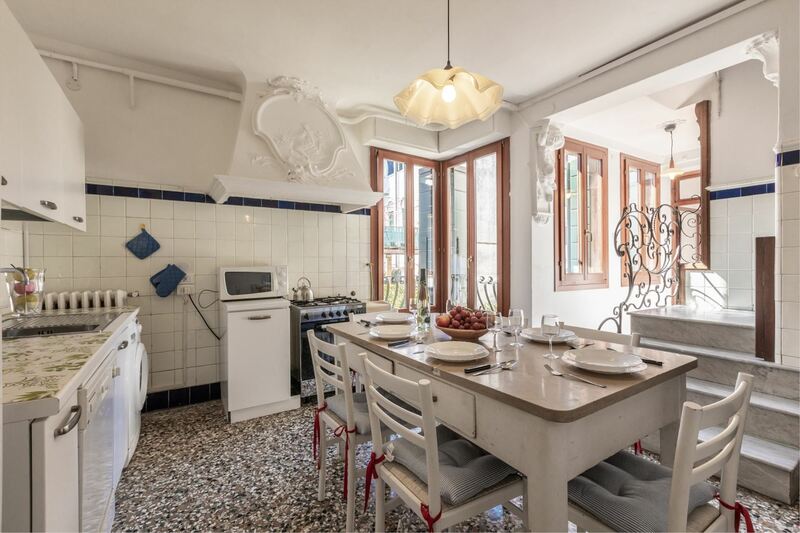 Equipment: TV, washing machine, dishwasher, oven, microwave, toaster, fridge with freezer. 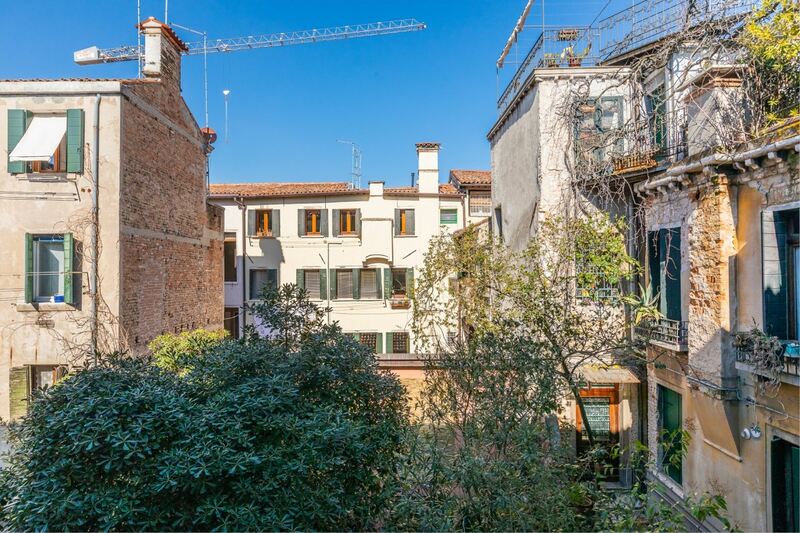 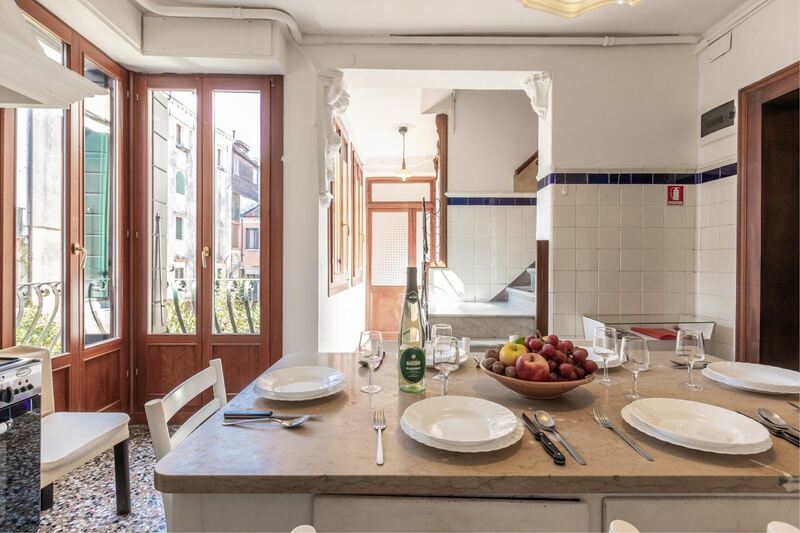 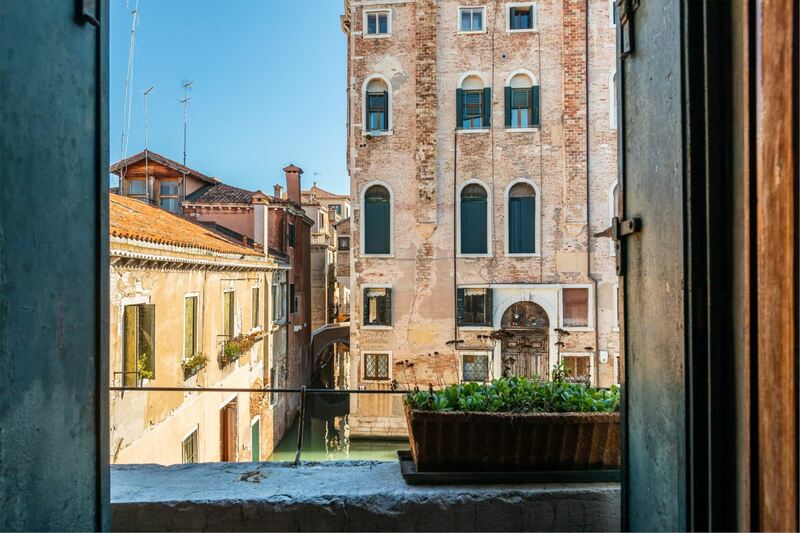 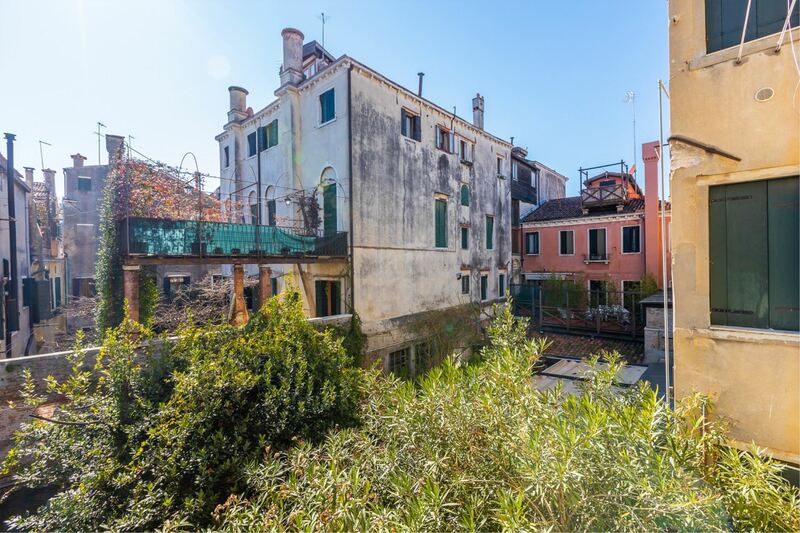 Basic in its furnishing but very spacious and sunny, it keeps the charm of a traditional Venetian house and offers 2 pleasant altane. 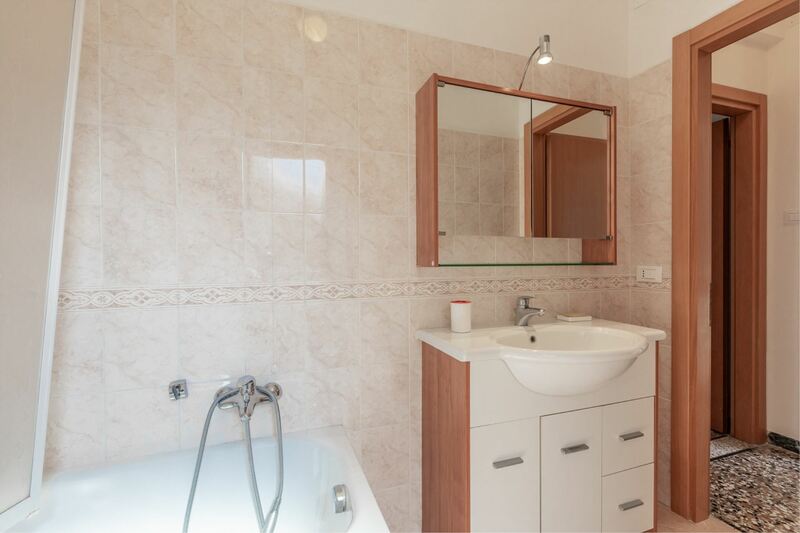 EPC G ; EPI 152,919 kWh/sqm year, EPE N.D. ; EPACS 18,891 kWh/sqm year ; CO2 47,543 kg/sqm year.